The LGBT+ Society is a safe place for people of all sexualities to come together in a social manner, with no fear of judgement. We meet at least fortnightly, and also arrange many social events throughout the academic year. The society has allowed many members to build their confidence, as we provide a safe space for students to talk about their sexuality, or other issues that they have had through their time at university. Our social events and coffee mornings are usually run every week in Treforest and Cardiff, so are easy to access for most members. We run formal meetings in Treforest monthly, and the committee is formed of members from the Treforest campus, but we aim to reach over members from Treforest, Cardiff, and Newport campuses. We post all information or changes to our meetings to our Facebook page or group. The society allows people to get to know other members of the LGBT community, help change things across the university, and also take part in fundraising and campaigns throughout the year. We're free to join! Social events are usually free, and if there is a cost, it's all shared between all that are attending. 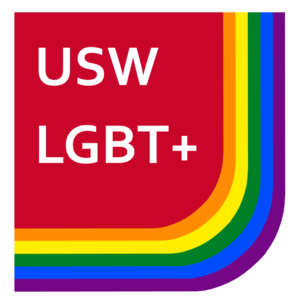 We are easily contactable through our Facebook page, or by email at uswlgbtsociety@gmail.com. Click on join this group below to join the society!